YipTel is a new kind of Communications Carrier. We have the ability to deliver all of your Voice, Video, and Data needs safely and reliably from the power of the cloud. This allows your employees to communicate on desk phones, mobile devices, laptops, soft-phones with Voice and Video calling virtually anytime and anywhere. Affordable: While you can purchase or use your existing VoIP Phones on our platform* the majority of our clients simply have YipTel provide the phones and equipment they need as part of their low monthly costs. This way the equipment is fully managed and warrantied as well as it gives our clients the ability to change equipment at any time according to their needs. Reliable: Experience peace of mind knowing that your hosted phone system services with YipTel are on a fully redundant network with five nines reliability and backed up by our YipTel Service Level Agreement. Secure: YipTel delivers optional TLS encryption to provide safe and secure communication across our network. 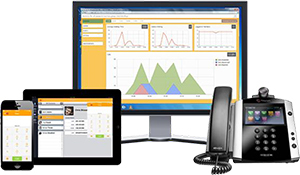 Support: YipTel delivers a simple and easy web portal with your hosted phone system. Nobody knows what telecommunications is going to look like in the few years. With YipTel cloud services you will not need to worry about the changing technology. With continued software developments we will make sure you have the applications and technology to drive your business and without having to invest significant capitol. You will not need to depreciate antiquated equipment. First, as a Carrier YipTel can deliver a connection to your office that will provide Internet, Voice and Video communications to your business. Already have Internet? No Problem. We can likely use what you already have in place and with a quick test that we will verify for you. Second, we can install your phones and software on site or ship them to you and assist remotely if you prefer. Third, we provide personal user training on site or remotely as you request. Mobile applications allow your business to connect to a hosted phone system from virtually any device at any location. Applications are available for your iPhone, iPad, Blackberry, Droid, Tablet, and Laptop – all delivering the power of VoIP. These days, holding remote meetings with video features can significantly increase rapport and professionalism. Our cloud video capabilities deliver unprecedented video calling with video voicemail from your desktop, laptop, or mobile device. Implementation of unified messaging provides text to speech transcriptions of voice mail, voice mail to email, visual voice mail, electronic fax, and internal chat. 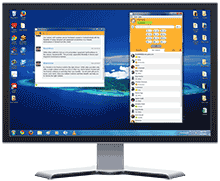 A desktop client delivers presence, instant messaging, video calling, a softphone, video voicemail, simultaneous ring, and much more. 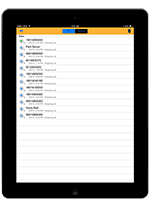 This client application combined with mobility will save significant time per day, per employee in improved productivity. Web admin portals are crucial. With that in mind, it’s important that your solution is simple to use and accessible. Our portal will provide your business with 24hr access to your system to make changes and modifications to users and call flows from any location. Finally, you have the option of taking advantage of powerful audio conferencing solutions with conference control from web and mobile devices for ultimate communication and record-keeping. YipTel delivers the easiest and fastest way to connect employees and clients with powerful personal interactions. Now you can communicate face to face from virtually any device, (phone, pc, mac, laptop, room systems and immersive theatres) anywhere in a secure, encrypted, HIPPA compliant environment. 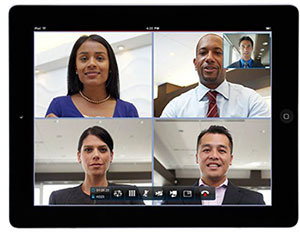 Enjoy high definitionaudio and video quality with the YipTel Meeting Suite™ powered by Polycom®. Download the YipTel Hosted Phone Systems Datasheet (PDF).